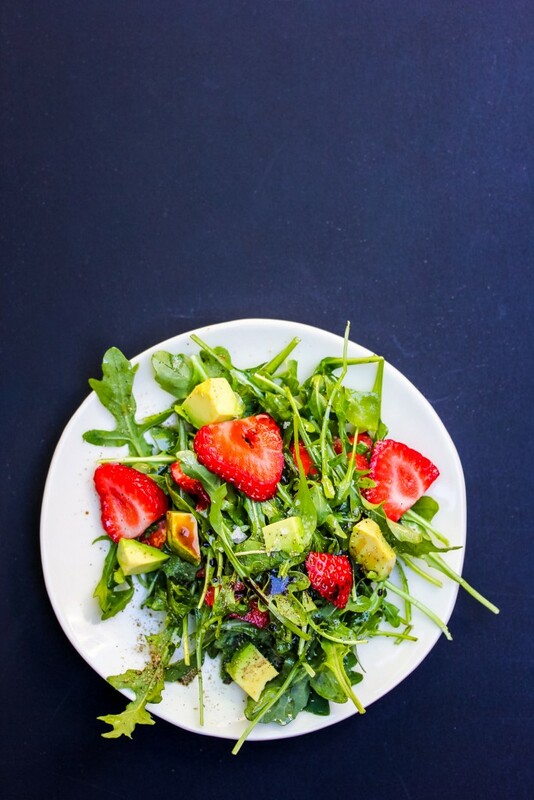 Strawberry, arugula and avocado are a beautiful trio, creating sweet, spicy and creamy—all in one dish. Gently toss strawberries, arugula, avocado and red onions together with the dressing in a large salad bowl. Divide among 4 plates, and top with sea salt and freshly ground black pepper to taste.